Simply spectacular. 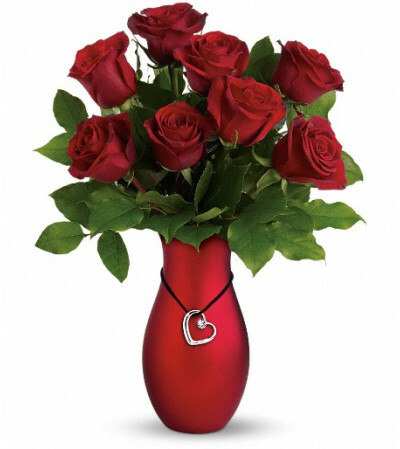 A half dozen red roses arranged to perfection in a lustrous red ceramic vase, featuring a silver-plated heart pendant with a 1-carat SWAROVSKI® ELEMENTS crystal, is a sure-fire recipe for romance! 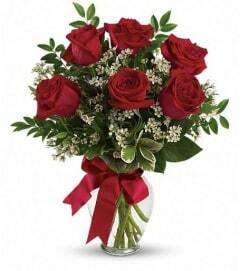 Six red roses are accented with salal to create this romantic arrangement. 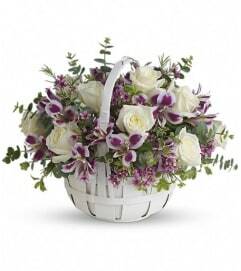 Delivered in a Heartstrings vase.